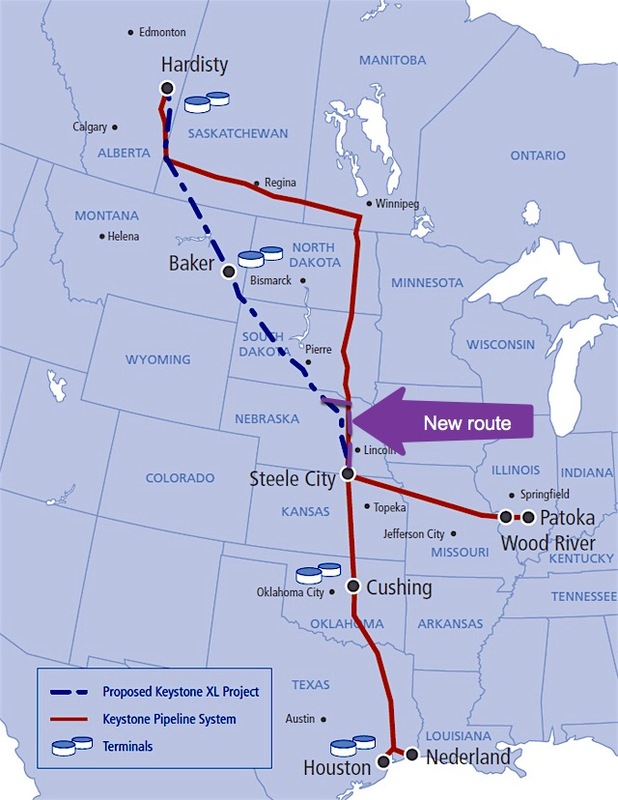 Nebraska officials have greenlighted the construction of TransCanada’s (TSX, NYSE:TRP) $8 billion Keystone XL Pipeline through the state's borders, in what’s considered a key victory for the company, though the future of the long-delayed project remains far from certain. The approval of an alternative route to the one originally proposed came just four days after a leak at the Keystone pipeline, which spilled about 5,000 barrels of oil — or 210,000 gallons — southeast of the small town of Amherst in northeast South Dakota. Ongoing legal challenges to the project, and the change of route in Nebraska could add further complications. Nebraska’s Public Service Commission’s 3-2 decision is likely to face appeals by landowners who will now be impacted by project as well as by environmentalists. The route approved Monday may also add costs and further delays to the project aimed at carrying 800,000 barrels of crude a day from Alberta to US refineries on the Gulf Coast. 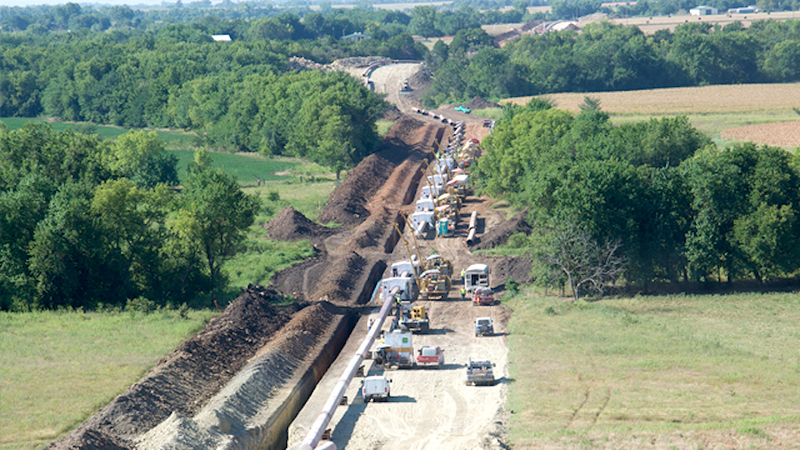 Fred Jauss, a partner at the international law firm Dorsey & Whitney, told MINING.com the company will now have to defend its new pipeline routing from the numerous challenges that are likely to be filed in the coming days. "The biggest hurdle, however, will be its own evaluation of whether the Keystone XL pipeline project is still economically-viable for the company and its shippers," Jauss noted. "Unless TransCanada can control its project costs, it could lose potential shippers to more economic transportation alternatives," he said. The company issued a brief statement Monday signalling it would study the impact of the ruling on the pipeline's costs and schedule, without adding any further details. TransCanada’s decade long-quest to building its Keystone XL suffered a major setback in late 2015, when then-president Barack Obama turned it down. But Donald Trump revived the project in March. Trump’s move was one of his first concrete actions to reverse his predecessor’s environmental rules to try boosting the country’s depressed oil, gas and coal sectors. Those industries have suffered in the past years due to low prices and increased competition from alternative energy sources, as well as legislation to curb carbon emissions. Pipeline detractors argue the Nebraska commission's decision invalidates Trump’s approval as that permit was subject to the condition that Keystone XL be "in all material respects" as described in the State Department's final environmental review issued in January 2014. That State Department assessment was based on TransCanada's preferred route, though it did include assessments of alternatives, including the one just approved Monday by Nebraska, Canadian Press reported. Despite the challenges ahead, Keystone XL seems better positioned to come to completion than other Canadian pipeline projects. TransCanada’s $15.7 billion Energy East, which would have linked Western Canadian producers to the Atlantic Coast, was cancelled last month amid fierce opposition from Quebec. And the federally approved $7.4 billion Trans Mountain expansion proposed by Kinder Morgan Canada remains mired in regulatory delays and legal challenges because of opposition in British Columbia.